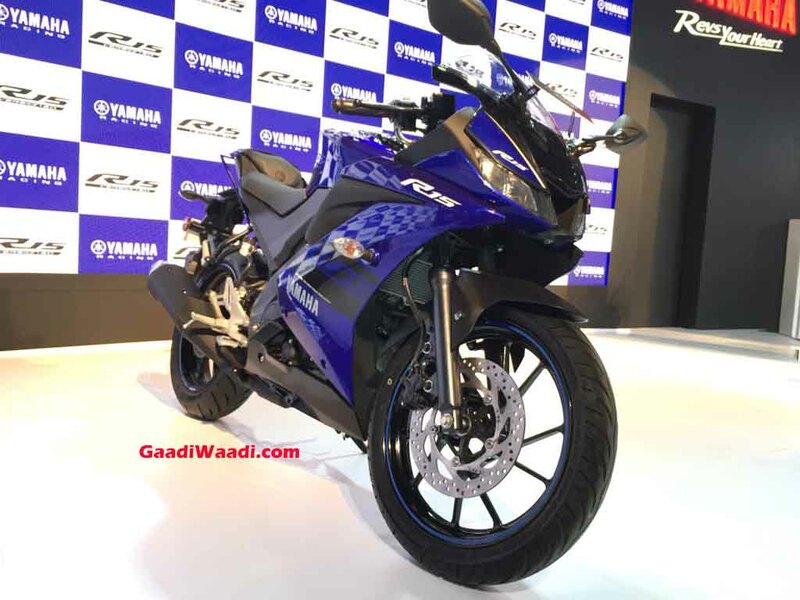 Yamaha officially launched third generation of R15 at 2018 Auto Expo. The R15 is one of the products, which helped the Japanese manufacturer to make a comeback in India two wheeler market. 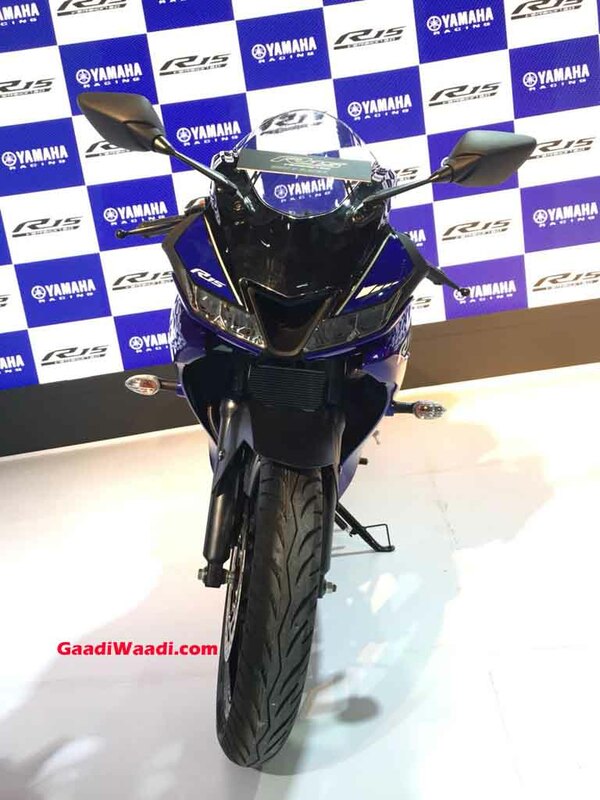 Now, the Yamaha YZF-R15 price hiked by Rs. 2,000 and it is priced at Rs. 1.27 lakh (Ex-Showroom, Mumbai). Most of the manufacturers are increasing price due to rising cost of raw materials but the Japanese manufacturer hasn’t announced the reason for price hike. The R15 Version 3.0 follows the footsteps of R1 and the design is similar to the litre class bike. The twin LED headlamps with faux air-intakes and big visor give the impression of a higher capacity bike. Yamaha has given clip on handle bars and they are positioned lower on the body along with rear set foot pegs giving sporty riding stance for R15 Version 3.0. The company has given split seats like previous model and pillion seat is not practical because of the height. The rear gets LED tail lamp. Yamaha has given tyre hugger, which will be helpful for riders in rainy conditions. The R15 Version 3.0 comes with telescopic front suspension and mono suspension at rear. The suspension is tuned towards handling like previous models and it is one the reasons why the R15 is so popular among enthusiasts. The power comes from 155 cc, single cylinder, liquid cooled engine producing 19.03 bhp of power at 10,000 rpm and 15 Nm of torque at 8,500 rpm. This engine is coupled with 6 speed gearbox and the top speed of R15 Version 3.0 is 135 kph. The R15 Version gets 282 mm front disc and 220 mm rear disc, we are expecting ABS to be introduced next year. Yamaha will finally introduce MotoGP Edition of R15 and it will finished in racing blue colour with Movistar and ENEOS logos as the only thing it misses out is racing numbers. We are expecting the launch to take place later this month, and the MotoGP Edition will be priced at a premium compared to regular model.